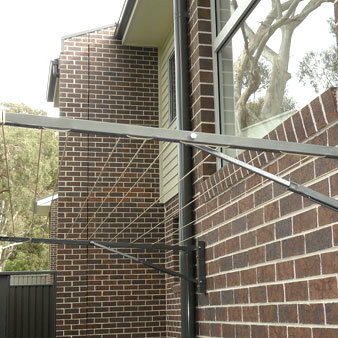 The City Living URBAN SERIES wall mount clothesline has a standard width of 2400mm or 3000mm. It is also available in various depths starting at 500mm up to 1500mm. If space is limited the width can be customised down at no extra cost. The Low-line attachment can also be added to all URBAN SERIES wall mounts for extra line space.